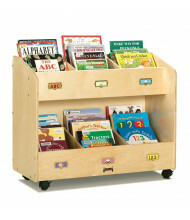 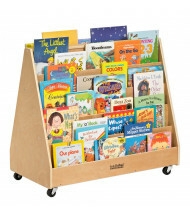 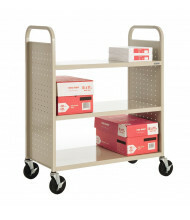 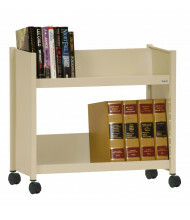 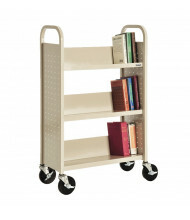 Book Carts & Trucks: Organize books and make them available on the move with book carts and trucks. 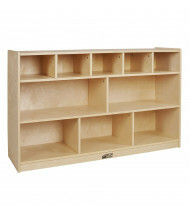 Available in two and three shelf configurations. 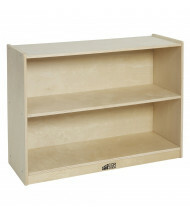 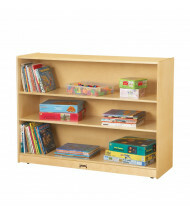 Bookshelves: Organize classroom spaces with convenient bookshelf storage. 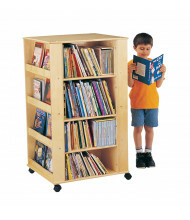 Shelving options include laminate and wood for long-lasting use. 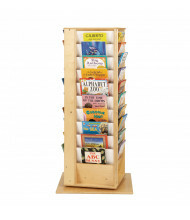 Book Stands & Displays: Create appealing environments for kids to read. 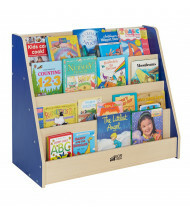 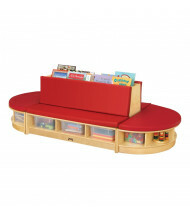 Book stands and displays keep reading material at child level so that they can easily access them and enjoy. 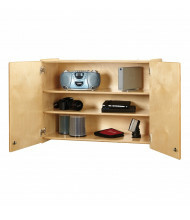 Mobile and revolving units available. 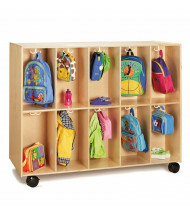 Classroom Storage: Stores a wide range of items including supplies, toys, and learning tools for a cleaner educational environment. 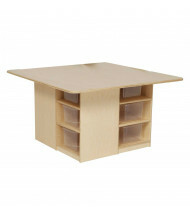 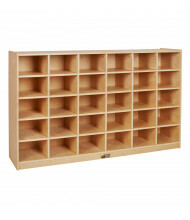 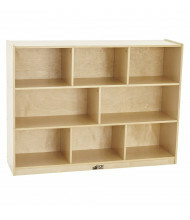 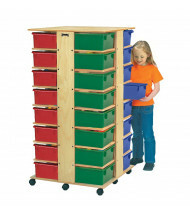 Different shelf and cubby size configurations fill a variety of storage needs. 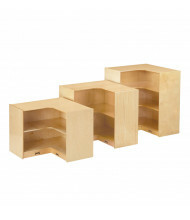 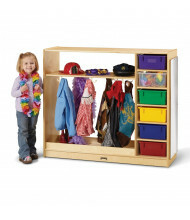 Cubbies & Cubby Storage: Well suited for multiple tray and tub storage. 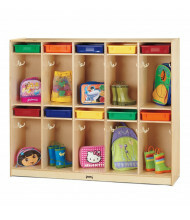 Give children their own specific place to hold their things like binders, art supplies, and writing tools. 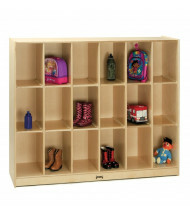 Models available with cubby holes of varying sizes to accommodate both small and large storage containers. 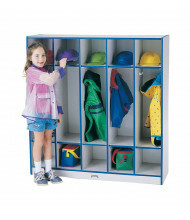 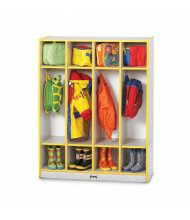 Lockers & Coat Storage: Provides children with a tidy way of storing their clothing items. 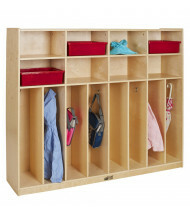 Different size cubby spaces maximize storage for coats, backpacks, and shoes. 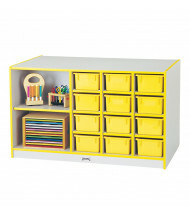 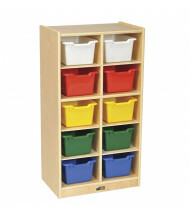 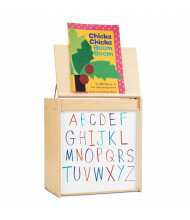 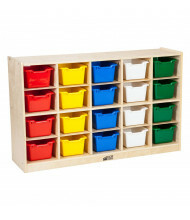 Trays, Totes & Tubs: Durable classroom storage for items like toys, games, and school supplies. 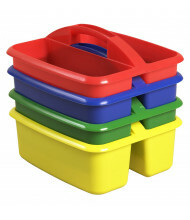 Tubs, caddies, and bins available with or without lids.